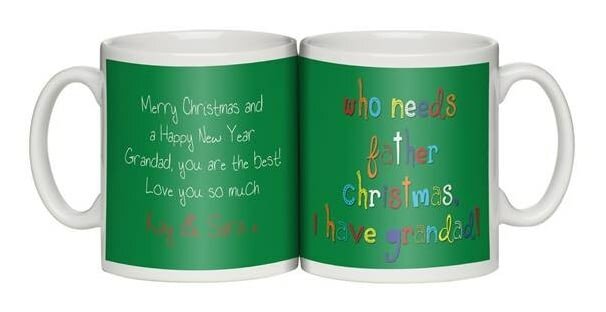 The little ones love their grandad and this gift is a great way of telling him at Christmas. One side of the mug has a personal message from them, and on the other is a colourful statement comparing him to Father Christmas, no less! The mug is dishwasher and microwave safe, and is scratch resistant.